Select an option Totes McGoats Got Your Goat? 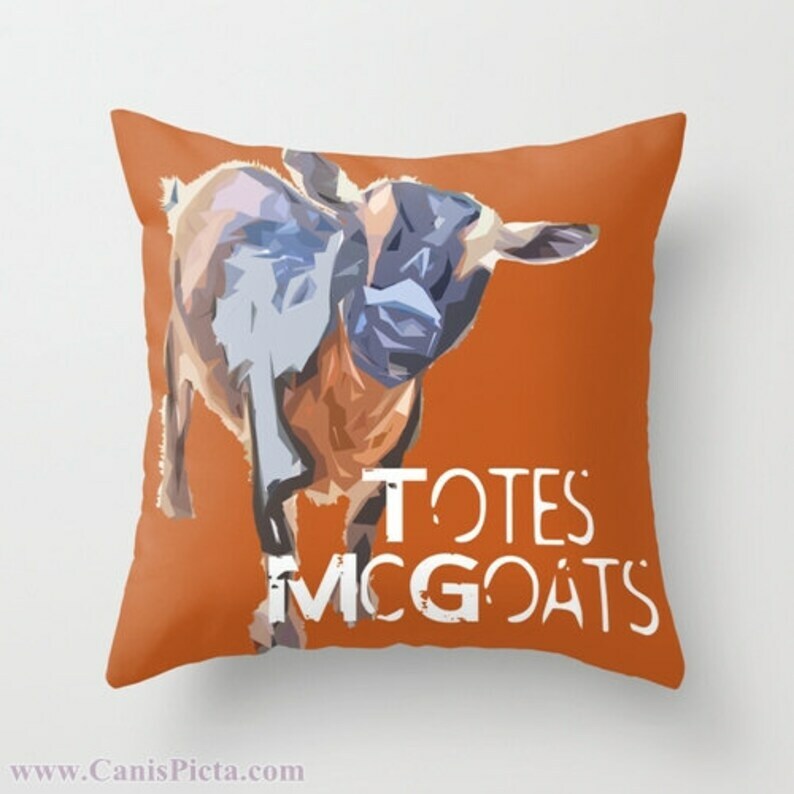 "Totes McGoats" OR "Got Your Goat?" - Pygmy Goat (Goats) - *ONE* 16" x 16" Graphic Print Throw Pillow Cover. Pumpkin, bright hot orange, blue, cerulean, slate, grey. Fall autumn colors. Movie quote from "I Love You, Man" starring Paul Rudd as "Peter Klaven" and Jason Segel as "Sydney Fife." We love our goaty-woaties, so we wanted to include them in our pop art photography prints! Plus, who doesn't like a little humor in their home decor? Featured in this pop art goat print is a Pygmy Goat. This fine art print is also available framed and matted or on stretched canvas, please contact us for availability and cost. The matching print is available! UPGRADE YOUR INDOOR PILLOW COVER TO AN OUTDOOR PILLOW COVER! This throw Pillow Cover is made from 100% spun polyester poplin fabric, a stylish statement that will liven up any room. Individually cut and sewn by hand, the pillow cover measures 16" x 16", features a double-sided print and is finished with a concealed zipper for ease of care. Does not include pillow insert. Our Pillows are professionally printed, so please allow for printing and processing time when making your order/s.